The American Foundation for Suicide Prevention reports that suicide is the tenth leading cause of death in the US. A dismaying 44,965 individuals die as a consequence of suicide annually in the country. The Foundation also states that on average 123 suicides take place daily. Prescription ketamine nasal spray is emerging as one of the promising compounding pharmacy treatments for depression and anxiety. According to a study published last year, there is a rise in recorded cases of depression in the US. These statistics call for more robust prevention strategies and more effective treatments for major depression. Researchers from Janssen Research & Development and Janssen Scientific Affairs (based in Titusville, NJ, and San Diego, CA) have collaborated with colleagues from the Yale School of Medicine (based in New Haven, CT) have been studying a faster-action medication for individuals who are at imminent risk for suicide. Recently, first author Dr. Carla Canuso and colleagues undertook a proof-of-concept, phase II, double-blind study to test the efficacy of an esketamine nasal spray for people in need of fast relief from the symptoms of severe depression and suicidal ideation. Esketamine refers to a type of ketamine molecule that contains anesthetic and anti-depressive qualities. However, unlike ketamine, it appears to cause fewer side-effects, such as hallucinations, making it a possible solution for the treatment of major depression. The results of the new study have been published in The American Journal of Psychiatry, and they indicate that this innovative nasal spray offers effective short-term results for people who are at high risk for suicide. A Fast and Effective Newcomer? The researchers worked with 68 participants with severe depression symptoms in their phase II trial. These participants were divided randomly into two grows. The first group was assigned esketamine spray treatment while the second one was given a placebo. The participants received their assigned treatment twice weekly for four weeks. All volunteers also followed their routine depression therapy for the duration of the study. The people who had been assigned the esketamine nasal spray saw a significant improvement in the symptoms of depression at 4 and 24 hours following treatment in comparison to volunteers in the placebo group. In a similar manner, there was a significant improvement in suicidal ideation in participants in the esketamine spray group after four hours. When analyzing the potential side-effects, Dr. Canuso and team observed that the most common side-effects for people who took esketamine included dizziness, disassociation, nausea, and headaches. Further to these outcomes, the researchers conclude that intranasal esketamine could be a useful, viable treatment for people at high risk of suicide as traditional antidepressants may take between four to six weeks to start working. Dr. Canuso and colleagues acknowledge the need for more research as there is a potential risk that this intranasal spray may lead to ketamine overuse. The researchers aim to make this drug available in the market eventually. Before that, however, the spray must undergo a phase III trial prior to requesting FDA-approval. Janssen Research & Development, a pharmaceutical company in the Johnson & Johnson family, funded the study. American Integrative Pharmacy offers both modern and traditional compounding solutions, including online prescription refills, to patients in Long Beach, Torrance, Los Angeles, South Bay Orange County, Southern California areas, and nationwide. The ketogenic diet is a high fat, low-carbohydrate, and low-protein diet. This diet is meant to enhance the body’s dependence on fatty acids as a source of energy rather than on glucose. In this diet, there must be an exact calculation on the daily allowances of fat, carbs, and protein. Compounding pharmacists work with caregivers or patients and their dieticians to prepare drugs whose carbohydrate content is determined precisely. The ketogenic diet is frequently used as a treatment option for young children suffering from refractory seizure disorders or inborn metabolic defects. For the success of this treatment, precise calculations for daily allowances of fats, carbohydrates, and proteins are essential. Pediatric patients on a ketogenic diet often take compounding pharmacy medications. Therefore, it is necessary to calculate the carbohydrate content in the compounded drugs. It can be quite a time consuming to research and try to determine the carbohydrate content of compounded drugs. The ketogenic diet, commonly known as keto, involves the consumption of high amounts of fat and small quantities of carbohydrates to enter ketosis. Upon entering ketosis, the body burns ketones (rather than glucose) for fuel. This offers multiple physiological benefits to the body. But the key question is why someone would want to eat fat rather than carbs? When a person consumes a high amount of carbs, these convert into glucose in the liver. This prompts the body to create insulin (commonly known as an insulin spike, causing insulin resistance), to help deliver glucose through the bloodstream. Glucose will always remain the preferred energy source for the body. The body will resist burning fat in the presence of glucose. However, the body is forced to burn fat for fuel when carbohydrates are eliminated from the diet and replaced with fat. Just how much fat should be consumed? The following percentages offer a guideline for fat, carbs (or macros), and proteins in the keto diet. This is called the macronutrient breakdown. In the section below, these percentages are broken down into grams. It is important to use these only as a guideline. Every person’s macronutrient needs will differ depending on their specific lifestyle. Fat is the foundation of the ketogenic diet, comprising a majority of calories. A person consuming 2,000 calories daily would need to eat 144 to 177 grams of fat. Fat comprises 70 to 80 percent of the calories. As fat is the primary source of nutrition on a keto diet, it is vital to source high-quality, healthy fats. Protein is also a very crucial element of keto. In an ideal scenario, a person should intake 0.8 grams of protein per pound of lean body mass. This will prevent the loss of muscle. Determine the body fat percentage. Subtract the body fat percentage from 100 percent. This equals the lean body mass percentage. Multiply the lean body mass percentage by the total weight. One of the oldest treatments for epilepsy is the ketogenic diet, particularly in children with difficult-to-control seizures. The ketogenic diet is a special high-fat, low carbohydrate diet recommend for children whose seizures are unresponsive to treatment with traditional anticonvulsant drugs alone. A high level of carb intake can be associated with the lack of seizure control. Change in the diet to reduce the intake of high carbohydrate foods is the foundation of the ketogenic diet. Along with dietary changes and monitoring the nutritional intake, compounded medicines that conform to the ketogenic diet can be taken to enhance the efficacy of the diet in controlling seizures. Compounded pharmacy medications are an excellent alternative to commercially produced drugs as they contain no sugar or sorbitol and are carbohydrate free. A classic example of a patient who cannot take commercially available medications is a child on a ketogenic diet. This diet is a treatment option for young children with unmanageable, catastrophic epilepsy or inborn metabolic defects involving glucose metabolism. A majority of children remain on the ketogenic diet for two to three years and must be overseen by a team of medical care professionals comprising neurologists, nurses, pharmacists, and dieticians. Modern pharmacy compounding is the process of creating customized drugs for specific patients. Rather than commercially available medications, drugs that fit the dietary and nutritional specifications of a ketogenic diet are compounded using the raw chemical. There may be the presence of lactose and other carbohydrates in commercially available tablets and liquid forms of drugs, which reduce the effectiveness of the ketogenic diet in controlling seizures. It is advisable to use liquid medications rather than crushing tablets and dissolving them in a liquid. The particles of the crushed tablet may not dissolve entirely, and there is a risk of obstructing a feeding tube. While many commercially available liquids do not clog the feeding tube, but may contain carbs or sugar. The components used in specially compounded liquid drugs conform to the guidelines of the ketogenic diet. Note: Please inquire with the pharmacists on which flavors are appropriate for use in the ketogenic diet treatment approach. To ensure that the child’s medication is compliant with the ketogenic diet treatment approach, specially compounded medicines are an excellent way. In consultation with other medical specialists in the field of pediatric epilepsy, HB pharmacy provides benzodiazepines similar to diazepam but developed into a specially compounded nasal spray used for Grand Mal Seizures or Cluster Seizures. These represent an alternative to rectally placed gels. This makes it more convenient and less embarrassing to deliver the drug during emergency circumstances. Low Dose Naltrexone (LDN) is the daily dosages of naltrexone that are around 10 percent or less of the usual opioid addiction treatment dosage, generally up to 5 mg. These dosages necessitate a prescription and are compounded at compounding pharmacies. American Integrative Pharmacy (AIP), led by Dr. Neema Yazdanpanah, provides compounding pharmacy treatments to patients in Long Beach, Torrance, Los Angeles, South Bay Orange County, Southern California areas, and nationwide. Naltrexone presents paradoxical properties at the low dosage level, including anti-inflammatory actions and analgesia. These properties have not been reported at more substantial doses. Studies have proven that low dose Naltrexone (LDN) can be beneficial for individuals with conditions characterized by immune system dysfunction. LDN is representative of the use of an established prescription drug in various other areas of medical treatment. While various studies have shown that LDV therapy is promising, more studies are being carried out to assess LDN effectiveness in addressing a range of autoimmune conditions. LDN is often used along with traditional prescriptions drugs for the treatment of various illnesses, with the exception of narcotics. Patients who are taking a number of medicines and/or herbal supplements should consult a qualified physician or pharmacist prior to starting LDN. They should also consult their doctor if they have an impending medical procedure. LDN is considered to be safe and well-tolerated. This is one of the most exciting facets of this medication. The side-effects are minimal and include sleep interruptions and vivid dreams during the early adjustment period. However, patients usually adjust quickly to the drug and these side-effects decrease over time. LDN is compatible with a majority of prescription drugs with the exception of narcotics. LDN obstructs the effects of narcotics and may lead to withdrawal symptoms. Therefore, it should be started only those drugs are out of the system. This drug is prescribed to Hashimoto’s patients with caution as it can lead to a prompt reduction in the autoimmune antibodies and may warrant a reduction in thyroid replacement medicines as the body functions more efficiently. LDN has been the topic of much debate, but the drug has undergone very few clinical trials. For over two decades, Ian Zagon from Penn State University has been analyzing LDN and has conducted various preclinical studies evaluating LDN in cancer and in the animal model of MS. These studies showed that LDN treatment brought about a significant improvement in symptoms as well as in bowel mucosal appearance. Initially in a small pilot study, and more recently in a yet to be published controlled trial, Jared Younger from Stanford University has studied LDN in the treatment of Fibromyalgia. The results of the pilot study indicate a significant improvement in pain symptoms of these patients. AIP provides both traditional and modern compounding pharmacy solutions, including online prescription refills to patients in Long Beach, Torrance, Los Angeles, South Bay Orange County, Southern California areas, and nationwide. 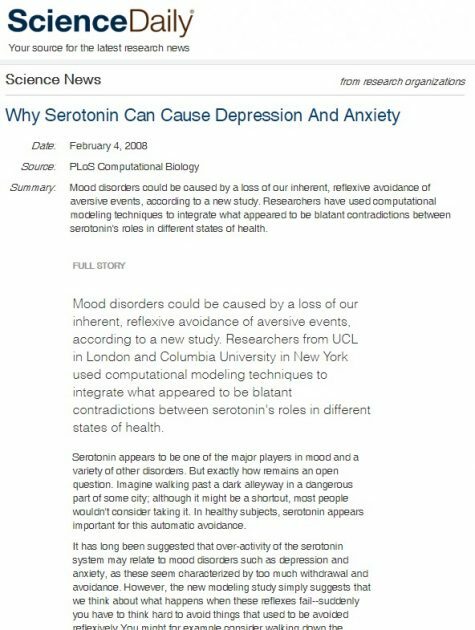 There are many researchers who believe that an imbalance in serotonin levels may influence mood in a way that leads to depression. Possible problems include low brain cell production of serotonin, a lack of receptor sites able to receive the serotonin that is made, inability of serotonin to reach the receptor sites, or a shortage in tryptophan, the chemical from which serotonin is made. If any of these biochemical glitches occur, researchers believe it can lead to depression, as well as obsessive-compulsive disorder, anxiety, panic, and even excess anger. It has long been suggested that over-activity of the serotonin system may relate to mood disorders such as depression and anxiety, as these seem characterized by too much withdrawal and avoidance. However, the new modeling study simply suggests that we think about what happens when these reflexes fail–suddenly you have to think hard to avoid things that used to be avoided reflexively You might for example consider walking down the dangerous alley, be robbed and thus be reminded and taught by additional experience that dark alleys are to be avoided. Elasticity loss and wrinkling can occur due to aging, and various environmental and lifestyle factors such as stress, smoking, poor nutrition, sun damage, and fatigue. While years of damage cannot be undone, an individual’s compounding pharmacists can work with their dermatologist to compound prescription anti-aging skin care products to suit their specific skin type and requirements. These products that are specially formulated are known as “cosmeceuticals,” which means that the formulated cosmetics have medicinal or anti-aging properties. At a reputed and established pharmacy, the specialist compounding pharmacists can compound prescription skincare medications through combining robust prescription treatments, and OTC ingredients with the most cutting-edge prescription actives in the scientifically advanced creams. Following a thorough analysis of oily, dry, or aging skin, we offer the most suitable correction for each type of skin in a cosmetic base comprising emollients, exfoliants, and micronutrients needed for cellular repair. Antioxidants such as Ascorbyl Palmitate (Vitamin C Ester) and Alpha Lipoic Acid (ALA) are crucial to the energy generation of skin cells and production of collagen. Alpha Lipoic Acid enhances optimum efficiency for energy production and the elimination of intracellular waste products. This is vital for cellular healing as well as the reduction of wrinkles and facial scars. In addition, Ascorbyl Palmitate inhibits the production of inflammatory arachidonic acid in the body. This acid plays a significant role in psoriasis development and the micro-scarring that causes wrinkle formations. According to researchers, Ascorbyl Palmitate encourages the growth of fibroblasts which help generate collagen and elastin in human skin. Studies indicate that antioxidants can be delivered percutaneously to augment the antioxidant reservoir of the skin. Retinol promotes the rejuvenation process that creates a more youthful appearance as well as offers the same benefits to the skin as retinoic acid but in a slower and gentler manner. Retinol works in combination with Alpha Lipoic Acid to offer maximum benefits in an effective and gentle way. Alpha and beta hydroxyl acids help to exfoliate the skin, enhance skin turnover, and mitigate fine lines and pigmentation. Amino acids, such as DMAE, tighten and tone the skin, prevent the development of age spots, and enhance the healing of micro-scarring which leads to wrinkles. DMAE benefits include a potential anti-inflammatory impact with possible enhancements in the underlying muscle tone of the face. Compounding pharmacists develop new bases on an on-going basis to enhance the cosmetic as well as the therapeutic aspects of compounded drugs. For instance, anhydrous gels deliver drugs that enhance the rapid absorption of the active component into the skin and prolong the retention of the medication on the stratum corneum and epidermis, with minimal systemic transport of active medication. These gels are cosmetically appealing, very stable, and well-tolerated by patients. Compounding therapy in hyperpigmentation aims to lighten the skin to ensure that it blends into the surrounding normal skin. A majority of preparations used to lighten skin comprise a drug known as hydroquinone. Azelaic acid, hydrocortisone, glycolic acid, tretinoin, and kojic acid are other commonly used ingredients in compounded medications. What are the governing bodies for compounding pharmacies? Do compounding pharmacies follow the same legal rules as drug manufacturing companies? These are some of the pertinent questions a patient should ask. 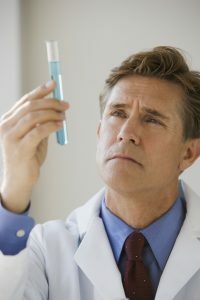 The state board of pharmacy regulates the practice of compounding. If community and hospital compounding pharmacists comply with the regulations outlined in Section 503A, they are allowed exemptions to the Federal Food, Drug, and Cosmetic Act of 1938. The federal and state authorities oversee all pharmacists and pharmacies engaged in compounding. It is necessary for pharmacists engaged in compounding to follow applicable standards and regulations for the types of preparations that are compounded. The FDA oversees the integrity and safety of drugs (known as Active Pharmaceutical Ingredients, or APIs, by FDA) used in compounded preparations. The Drug Enforcement Administration (DEA) oversees any controlled substances that are used in the preparation of compounded drugs. Controlled substances include narcotics such as hydrocodone, amphetamines, and similar medications as well as drugs such as those used for sleep disorders and anxiety. Additionally, the United States Pharmacopeial (USP) Convention issues standards that are applicable to compounding. This is a private, non-profit organization that defined the chemical purity of medications as well as lays down practice standards. USP creates standards for the quality, strength, identity, and purity of medications, dietary supplements, and food ingredients that may be used in compounding preparations. These standards are specifically relevant to compounding pharmacists. USP General Chapter <797> refers to the national standard for the processing, testing, and verification of any compound in sterile preparations. It offers guidance on preventing microbial contamination and other variations in compound sterile medications, irrespective of the setting (for instance, community pharmacies, hospitals, etc.) or who is doing the compounding (nurses, pharmacists, pharmacy technicians, or others). USP General Chapter <795> lays down similar guidance for non-sterile preparations that are compounded in health care facilities. It elaborates on the categories of compounding (simple, moderate, complex), provides the definition of concepts such as stability and beyond-use date, and offers criteria for compounding pharmacists to follow when developing various drug preparations. USP General Chapter <800> refers to a new standard developed by USP. This standard determines practice and quality standards of hazardous drugs to minimize the exposure to hazardous drugs within medical care settings. The goal of this standard is to enhance worker safety (pharmacy technicians, pharmacists, veterinary technicians, veterinarians, and many others), environment protection, and patient safety. While this standard was published on February 1st, 2016, it will not be officially enforced until July 1st, 2018. The National Institute for Occupational Safety and Health (NIOSH) makes available the current list of hazardous drugs. Compliance with these as well as other USP guidelines are considered the minimum standard of practice in pharmacy. Pharmacy Compounding Accreditation refers to a service of the Accreditation Council for Health Care (ACHC) that evaluates the sterile and non-sterile pharmacy compounding process as defined by a particular set of standards that focus on the quality and consistency of drugs produced. Does a compounding pharmacist undergo special training? Compounding is a core activity to the discipline of pharmacy. Pharmacists learn in pharmacy school how to accurately compound medications, and many states test the compounding knowledge and skills of pharmacists prior to issuing them a license. 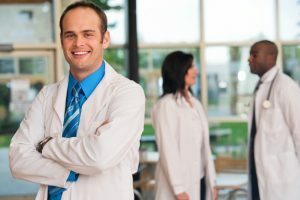 Pharmacists who are employed in pharmacies that specialize in compounding services typically undergo advanced training in compounding after graduating from pharmacy school. The preparation of a drug to address the prescriber’s precise specifications and to be dispensed directed to the patient pursuant to a valid prescription for that patient, is known as traditional pharmaceutical compounding. Pharmaceutical compounding is done or supervised by a pharmacist who is licensed by a state board of pharmacy. Drug manufacturing refers to the mass production of drug products that have received Food and Drug Administration (FDA) approval. These products are sold to pharmacies, medical care practitioners, or others who are authorized under federal and state law to resell them. Pharmaceutical manufacturing and compounding are also legally quite different. Both manufacturing companies and compounding pharmacies have their own individual set of stipulations. In general, compounding pharmacies enjoy more legal freedom. Compounding pharmacies as well as pharmaceutical manufacturing firms are overseen by governing agencies. But pharmaceutical manufacturing companies come under the purview of the Food and Drug Administration (FDA) and the Drug Enforcement Administration (DEA) while compounding pharmacies are overseen by state licensing boards. This distinction is elaborated under section 503A of the FDCA. In other words, this means that the doses, substances, and formulas compounding pharmacies use are technically not approved by the FDA. But this is more of a practical issue instead of one of reliability. The FDA usually approves medications in very specific doses or formats while compounding pharmacies change these formats to address the patient’s individual requirements better. While many compounding pharmacies lack FDA approval, it does not make them any less reliable. In the absence of exemptions from FDA-approval which can typically take between five to ten years for a single commercially available medication, compounding pharmacies would not be able to address custom drug needs. However, exemptions enable compounders to quickly create predictable and reliable medication solutions for patients with drug sensitivities, allergies, and delicate medical conditions. Upon hearing that compounded drugs are not FDA-approved, people often get concerned about the reliability of these custom medicines. Registered and compounding pharmacies are overseen by state pharmacy licensing boards, as mentioned earlier. These stipulations ensure that the compounding pharmacy uses safe substances, reliable methods and empirical evidence for the drugs they develop. Patients working with a licensed pharmacy can be assured that the medications are likely safe and reliable. When medications are broken down to their base components, they are all virtually identical from a chemical point-of-view. Compounding pharmacies usually source their base ingredients from the same pharmaceutical manufacturing firms that produce commercial drugs. The sole difference is that the compounding pharmacy combines or processes these substances in-house instead of simply receiving an injection, pill, topical, or pre-combined formula in a bottle or box. Similar to any other type of pharmacological treatment, not every drug is appropriate for every patient. 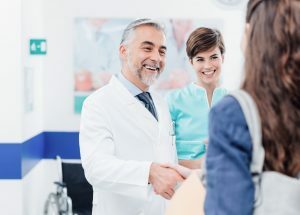 The best way to ensure that a patient finds a safe and reliable treatment is to have a working relationship with their pharmacist and take an active role in their health. Smooth thyroid function depends on various vitamins and minerals working together. Multiple sources indicate that the following nutrients may all be involved in either initiating thyroid dysfunction or helping in managing symptoms through maintaining appropriate levels: vitamin D, thiamine (B1), protein, vitamin A, cobalamin (B12), riboflavin (B2), selenium, iodine, vitamin C, magnesium, iron, and zinc. The following sections contain information on a few of these nutrients and their thyroid-related functions in the body as well as details on the best dietary sources or other ways of repletion. Vitamin D is considered to be an “immune modulator.” Autoimmunity is related to an imbalance between the two portions of our immune system called Th-1 (cell-mediated) and Th-2 (humoral). Therefore, it is logical that vitamin D deficiency has been found to be more pervasive among people with autoimmune thyroid conditions in comparison to healthy individuals. 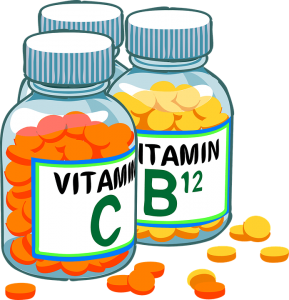 According to estimates, around 40 percent of hypothyroid patients have a vitamin B12 deficiency. This deficiency may be related to hypothyroidism due to the autoimmune link. Other reasons for the deficiency may include poor dietary habits, gut infections, and digestive dysfunction. The most absorbable form of supplemental B12 is sublingual (after injections). Thyroid patients should ideally have B12 levels between 700-900 pg/ml. Iodine is a trace mineral, which is typically associated with thyroid dysfunction. Iodine is necessary for the manufacture of the thyroid hormone, T4. Between 70 to 80 percent of iodine in the body is located within the thyroid gland. The deficiency of iodine can lead to weight gain, sluggishness, and other symptoms of hypothyroidism. In extreme cases, the patient may develop a goiter (enlarged thyroid). Iodized salt, sea vegetables such as seaweed, Swiss chard, spinach, and lima beans are good sources of iodine in foods. As excessive amounts of iodine can be problematic, supplementation should only begin after iodine level testing and under the guidance of an experienced thyroid practitioner. Iodine can, at times, lead to a flare-up of symptoms. Therefore, it is important to exercise caution in autoimmune thyroid conditions. Selenium is also a trace mineral, which is vital for thyroid function as it is necessary for the conversion of T4 to T3 (inactive to an active form of thyroid hormone). According to some research on selenium, supplementation may reduce thyroid antibodies in people with Graves’ disease and Hashimoto’s thyroiditis. In some studies, taking 200 mcg of selenium on a daily basis has been proven effective in reducing TPO antibodies by 50 percent within three months. Other research does not offer similar clarity related to supplementation in thyroid patients. Irrespective of this, it is important to have optimal levels of selenium for overall health due to its part in the immune function. 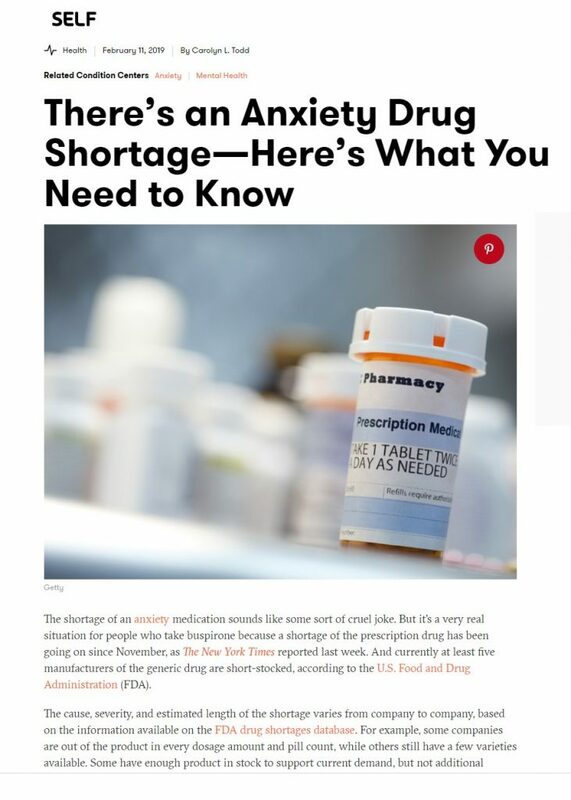 Recently, in the U.S., there has been a shortage of an anti-anxiety drug, buspirone. 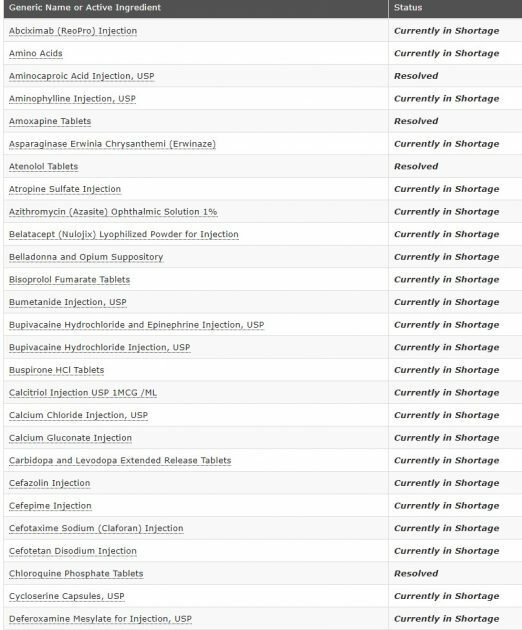 The American Society of Health-System Pharmacists (ASHP) lists shortages, and as of Jan. 31, 2019, noted shortages of buspirone tablets manufactured by Accord Healthcare, Mylan and Teva Pharmaceutical, and that the companies did not provide a reason for the shortage. Accord’s were on back order with an estimated release date of late-March 2019. Mylan said theirs were also on back order and estimated a release date of late-January to early-March, although for some dosages they had no estimated release date. Teva also suggested release dates of early- to mid-February or early-March for some dosages. How does Buspirone (BuSpar) effect serotonin levels? Buspirone [BuSpar] is an anti-anxiety medication unrelated to most typical “sedatives”, such as Valium, Xanax, etc. Buspirone is effective for so-called generalized or “free-floating” anxiety, but not for panic attacks. Buspirone works via the brain chemical (neurotransmitter) serotonin. While we don’t know exactly what causes anxiety on a chemical level, there is evidence that either too much or too little serotonin is involved–the brain preferring a serotonin level that is just right. A drug receives Resolved status when the Drug Shortages Staff (DSS) determines that the market is covered, based on information from all manufacturers. The market is considered covered when supply is available from at least one manufacturer to cover total market demand. However, some manufacturers may not have all presentations available. DSS monitors the supply of products with Resolved status. For the most current supply information, contact the manufacturers.